The iPhone is an amazing tool, but it’s just a tool. This morning I got a reminder that despite all iPhone can do technically, sometimes it’s better to rely on old school technology — the brain. Yesterday afternoon my wife realized she couldn’t find her iPhone 5s before she left work. She spent two hours retracing her steps, trying to figure out whether she’d misplaced her phone or if someone might have taken it. By the time she got home she feared it was gone, and was already thinking about how much it would cost to replace. Her tech-savvy husband (me, smart-aleck) quickly whipped out my iPhone, launched the Find My iPhone app, entered her Apple ID and password, and searched for her phone. Rats. It was offline, so the app offered no clues on her phone’s location or fate..
After several years living with my wife, I was willing to bet that despite her best efforts to find the phone, it wasn’t lost or stolen, it was somewhere . We just had to figure out where. I told my wife I’d come to her office the next day, to help her find the elusive phone. Just to play it safe, I activated Lost Mode on her phone. I entered my cell phone number so if some kindhearted soul found it and read the “I’m a lost phone, please press this button to call me” message, I could arrange to meet and reward the Good Samaritan. Since the phone was offline, all this cool stuff wouldn’t happen until the phone tried to connect to the Internet. A few hours later, my wife got a computer-generated email from iCloud — someone had found her phone near her office. Since it was late at night, I wasn’t terribly surprised the person who found it hadn’t pressed the button to call me. I figured he or she was just considerate, and somehow knew I had to get up for work at 4 a.m. I was sure we’d get the phone back in the morning. The feeling of confidence disappeared when I woke up. Checking iCloud, my wife’s phone was off-line again. I had no idea where the phone was. Our lifeline was severed. Zooming in on the map that showed where her phone was last online, I could see it was on a side street, a half-block from her office. Quickly, my mind transformed last night’s Good Samaritan into a thief — a scoundrel who was no doubt planning on selling my wife’s precious mobile device for parts on the black market. Dejectedly, I told my wife to check her company’s lost and found, and email me from her desktop computer when she couldn’t find her iPhone, and I would remotely activate the Erase Phone button on her device, bricking it. Utilizing all the power of iPhone’s location services, I realized there was very little chance we’d get her phone back. Somehow, we’d figure out a way to buy her a new phone. Then something technically unexplainable happened — my wife found her phone at work. It was under her desk, and had been there all along. 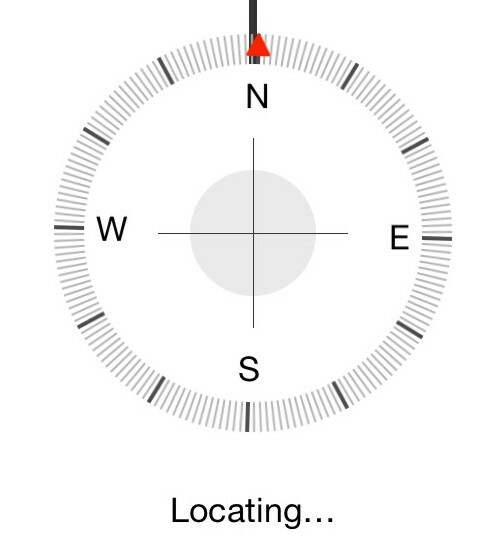 Clearly, iPhone’s GPS wasn’t precise enough to depict her phone in her office, yet the information it provided was enough to cultivate a scenario in my head that trumped my original confidence my wife had misplaced her phone, and that it was somewhere, waiting to be found. I should have trusted my gut, and knowledge of my wife, instead of taking my iPhone at its word. After all, it’s just a tool.